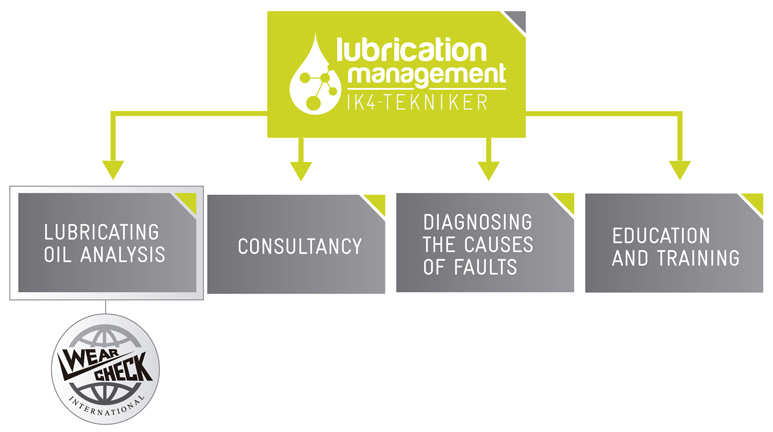 WearCheck Ibérica is the brand representing the international WearCheck network in the Iberian Peninsula in the field of lubricating oil analysis. We are experts in the chemical and physico-chemical characterization of a whole range of products, like lubricating oils and greases, other petroleum by-products for industrial use (hydraulic, transformer, tempering and cutting oils, diesels and fuels, etc. ), as well as refrigerants, HTF and certain kinds of waste.